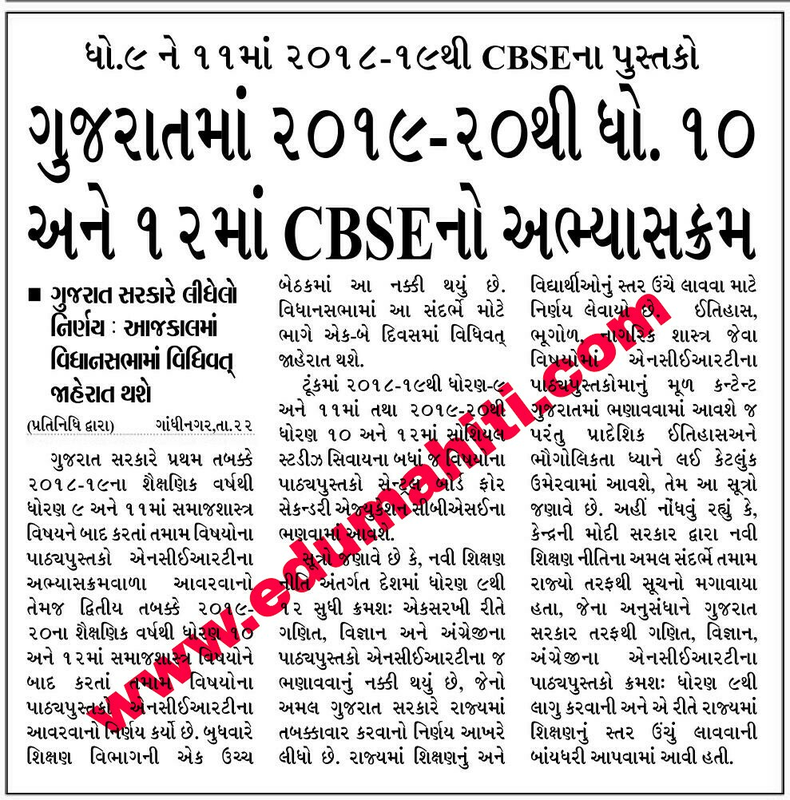 Gujarat ma 2019-20 thi std 10 and 12 ma CBSE syllabus aavse. 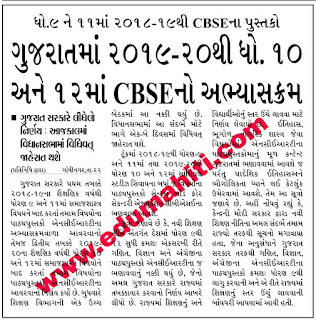 →Gujarat ma 2019-20 thi std 10 and 12 ma CBSE syllabus aavse. →From 2019-20 in standard 10 and 12 apply to the CBSE syllabus. →Central Board of Secondary Education: Academics.